The Kirkwood-Riseman model is solved using renormalization group methods for the hydrodynamic radius RH through order ε2 for random walk (Gaussian) chains where ε=4−d and d is the dimensionality of space. These calculations are used, in part, to investigate the effects of the preaveraging approximation within the rigid body hydrodynamic interaction model. Our calculations produce a preaveraging correction of roughly double that found in Monte Carlo simulations, indicating the need for further higher order calculations and/or refinements of the dynamical renormalization group method. 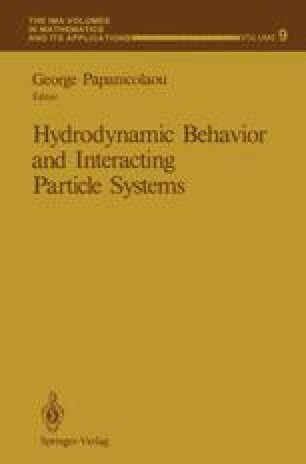 We also consider the crossover dependence of RH on the strength of hydrodynamic interactions for a Gaussian chain, showing that our results closely coincide with older classical descriptions of the hydrodynamic radius. For example, our preaveraging Kirkwood-Riseman solution is found to be identical to the Kirkwood approximation to RH to order ε2. Preaveraging affects the crossover dependence in order ε2.